As I sit at my desk looking across my basement, I think how safe I am, and that is in part to the local first responders. It is also in part because of my background and the understanding of the realities of law enforcement. I understand what the numbers mean, the realities of force, and more importantly the mind frame of most police officers. I fear that the vocal criminal minority does not understand what officers do, or moreover what the ethos are for the officers. There is no understanding for the reasons that these brave men and women got into their career field, why they stay in their career and why some are getting out. First and foremost the public and media forgets, or fails to mention that the average law enforcement agency has less than 10 officers. What this means is the large agencies like LAPD, NYPD, Baltimore, Minneapolis and others, are the exception, not the norm. Police officers working in large communities have a different perspective on law enforcement because they work in high crime areas. The crime is generally committed by people who live in those communities. Thus the need for a higher police presence, which causes more contacts. The officers come into contact with the same people in those communities. Why do you think that is? Is it because they are criminals, or because they are “profiled”? I would contend police are coming into contact with the same people because they are known criminals or associated with known criminals. 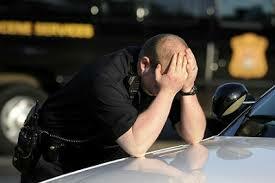 Law enforcement officers navigate a contact with a subject approximately 95% of the time without using any force. Around 5% of the time, law enforcement officers use force, and .05% of the time law enforcement officers use lethal force. Let those numbers sink in. Why is the media not talking about the contacts where nothing happens? The focus is always on the 5%. The media is using statistics and numbers to “skew” and project their own agenda. Everyone should utilize their own critical thinking skills, and figure out what the numbers represent as opposed to taking them as gospel. There has been recent attacks on the concept of police as warriors. Main stream media appears to utilize the negative definition of the word and attempt to demonstrate that officers are at war with the public. Let’s use the definition utilized by Sitting Bull, “Warriors are not what you think of as a warriors. The warrior is not someone who fights, because no one has the right to take another life. The warrior, for us, is one who sacrifices himself for the good of others.” The media is using a secondary definition that a warrior is a solider. This is not correct, and not appropriate. Soldiers and warriors might be similar, but are not always the same. The term warrior generates and invokes positive feelings for someone who stands to protect those who need protecting. 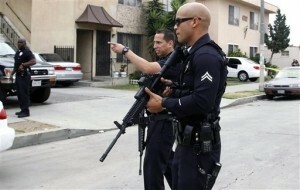 The media, and public are outraged that law enforcement officers are becoming militarized. They discuss how police get top notch military equipment, uniforms that are more militaristic, and training that is more militaristic. Why is this such a bad thing? The military has been protecting this country for decades. It is an honor to be a military solider, someone who selfless serves to protect our way of life. However the reality is that equipment and technology is getting better, safer and more streamlined. 50 years ago, police officers had hold over military flak jackets for protection against small arms fire. Today, they have breathable body armor, high capacity pistols as opposed to six shot revolvers, radios as opposed to police call boxes and computers as opposed to type writers. Are you starting to get the picture? When football originally started to be played in the United States, what was the equipment that was used for protection? By today’s definition, it wasn’t much. Pads are now sleek looking, provide exceptional protection, are modernized, and guess what they protect the players more than they did in the past. Law enforcement officers are experiencing the same thing which is nothing more than advances in technology for the protection of the person wearing the uniform. Yet we condemn those that want to protect the police with better technology. For those of you who do not understand this concept here is one final example. Take a look at lifesaving technology that is utilized by medics to treat people who have been in a car collision. How about someone found dead but were revived and brought back to life? Those same people 20-30 years ago would have died at the side of the road, or at their home. Advances in technology must be used for the safety of all. 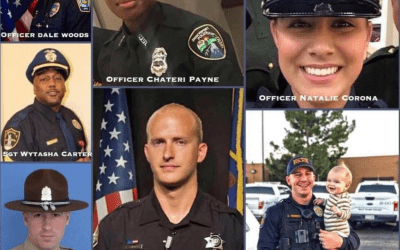 Let me be clear, I support law enforcement and as I have noted before, it is time for the silent law abiding majority to respond to the vocal violent criminal minority. Let’s be clear, our police are under attack; they are being murdered, trivialized, and minimized. They stand in the gap to protect society and they need our support. We are a nation of laws and law enforcement professionals are needed to enforce those laws. This is the system that was established a long time ago and if you do not like it you can leave and see how your “rights” are protected somewhere else.